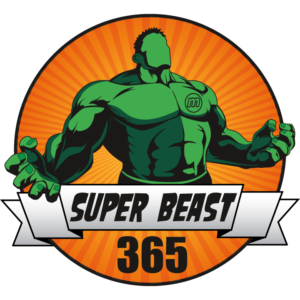 Munzee – Scavenger Hunt » Additional January Players of the Month Winners! Congratulations for officially surviving the first month of 2019! We had so much fun awarding our previous Players of the Month with custom badges that we decided to spread the love to include a wider variety of some of Munzee’s very talented Virtual Garden builders. As a reminder, Player(s) of the Month will be based on different criteria each month. To cap off a successful January, we’ve extended this month’s award to an additional 35 players from all around the globe based on their world-renowned Virtual Garden building skills! To thank these builders for all of the work they do in the Munzee community, we will be awarding them special POTM badges! You can find a complete list of all of our players of the month for January at the end of this post! Congrats to all of our January POTM winners! Munzee wouldn’t be the same without all of the hard work, time, and effort you (and all of our dedicated players!) put into transforming the maps. And another thank you goes out to all of the players who nominated these talented builders. Some months we will ask for nominations to help us choose recipients based on that month’s criteria, but we will not be accepting nominations in February. The Player Of The Month requirements for February are based on Super Streaks! That means if you have captured and/or deployed every day for more than a year, you will be rewarded. We have to recognize the players who never take a day off! Thank you for helping us grow the map, and stay tuned for your future recognition! 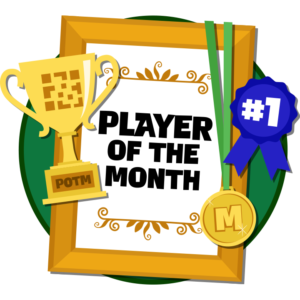 As a final reminder, anyone who earned the Player Of The Week badge previously IS able to earn the Player Of The Month badge as well! Good luck, and Munzee On! Once again, congratulations to all! Keep up the amazing work! This entry was posted in ANNOUNCEMENTS, Badges, Community Stories, GAMEPLAY, NEWS, PLAYERS and tagged 21st century scavenger hunt, app, capture, clan, deploy, event, EVENTS, eventzee, exercise, family fun, fitness, friends, fun, game, gardens, geocaching, GPS, health, hide and seek, international, iphone, january, McKinney, mobile, munzee, mystery, mystery virtual, outdoor, play, player, player of the month, player of the week, points, POTW, QR, QR code, scavenger, scavenger hunt, sighter, special, team building, technology, tour, travel, trip, virtual, virtual gardens, winners on January 30, 2019 by Team Munzee.